In order to succeed in Fix &Flips, you must be somewhat of an appraiser and deal finder! These systems are expensive to correct in relation to the value they return to you upon resale. Other areas to pay close attention to are roofing, foundation and structural integrity. Unless you have a large corporation backing you with an open checkbook, you want to stay away from foreclosures that have problems in these areas, your return on investment won’t be substantial enough to make it worth your while. Order a dumpster for the next ten days and get your demolition man to throw out everything including the kitchen sink. In other words, clear the decks. After the house is cleared of debris, it’s time to patch and paint. Let your painters blast the place with their airless paint-spraying arsenal inside and out. Within three days, you’ll have added a huge improvement to your investment. This is the biggest dollar-for-dollar return you can make! After the painters leave, the flooring guys can lay tile and carpet, which will take two to three days. Next bring in the cabinet installers and handyman plumber. Last comes light fixtures, vanities, toilets, sinks, doors, switch plates and outlet covers. 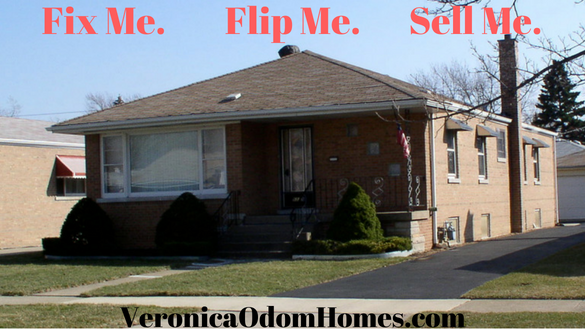 Are you ready to Fix and Flip? There are TONS of opportunities in these areas.